Your child has the energy of a whole army! Your child is almost like a one-child platoon, ready to take on anything that the world can dish out. Your young one is probably ready to fight against bad guys (usually evil imaginary ninjas), protect his country (your home), and crawl through hostile territory (the backyard). Does that sound like a mission that your child is just itching to go on? Then you'd better make sure you have your child geared up like a true commando! 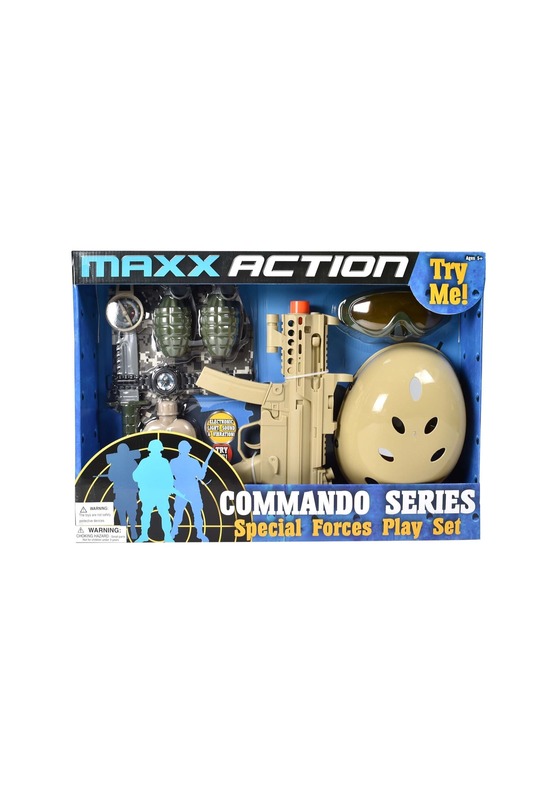 This Maxx Action Command Series set helps get any child ready for a Special Forces mission! It's packed with a plethora of accessories and toy weapons, like a toy sub-machine gun with a bright orange barrel tip that even makes noise when you pull the trigger. It also comes with a plastic helmet with a size-adjustment band. It also comes with a digital camo print vest that fits over your child's clothing. It also comes with a toy knife, a toy watch, and a compass. It even comes with a pair of toy plastic grenades, goggles, and a toy canteen. Talk about value! With so much gear, your child should feel ready for just about any mission you could have in store for your little soldier. 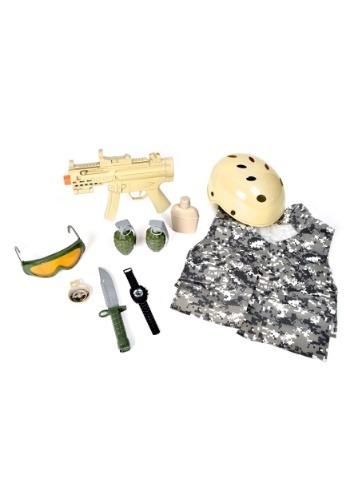 Just make sure you check out some of our military costumes to create a complete and authentic look for your young commando.